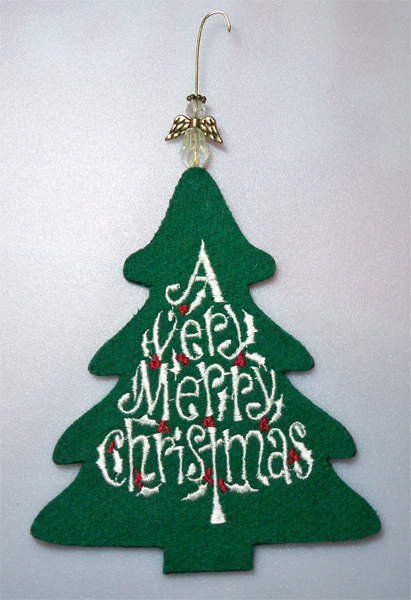 Embroider a holiday design on a piece of wool felt and you create an ornament. 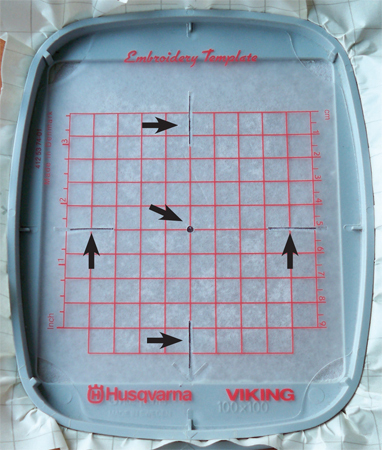 Trim it with an AccuQuilt die and it becomes an extraordinary keepsake! I'm hooked on AccuQuilt. 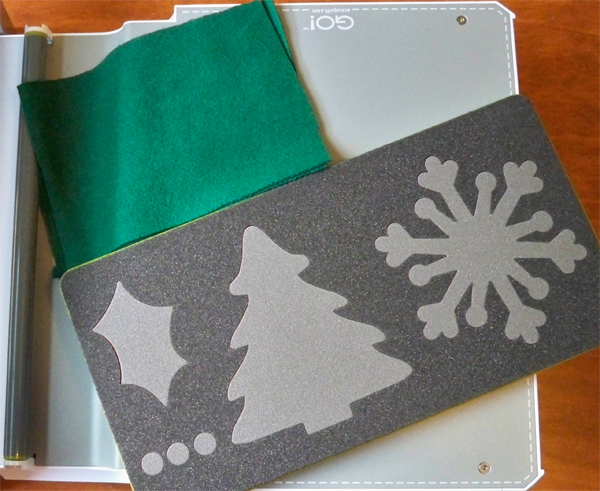 Clean, crisp, quick, and consistent, the dies make my ordinary projects extraordinary. 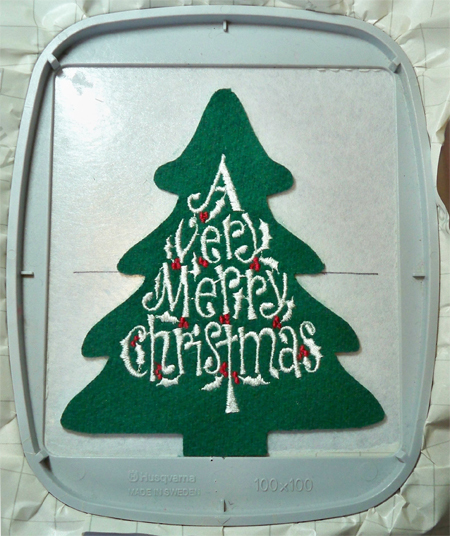 This project combines machine embroidery with a wool felt Christmas tree cut with AccuQuilt's Holiday Medley die. I have always loved this Grand Slam design. Using only two thread colors, it stitches out quickly in a 100 x100 hoop. My berries are always some shade of red, but the text looks good in cream, white, or gold. In the test stitch-out, the design was too wide so I reduced it to 90 percent of size and resaved it (with a new name, not overwriting the original file) in resizing software. 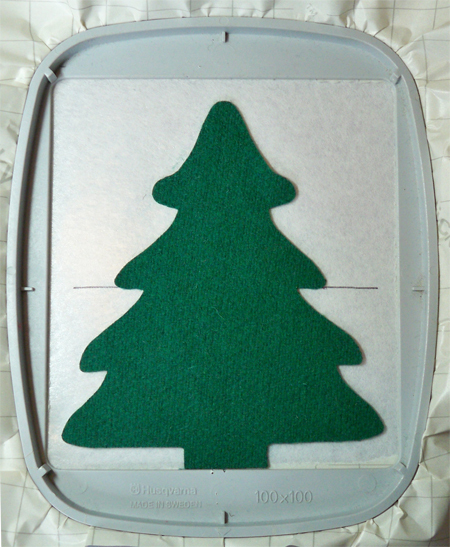 Cut two pieces of wool slightly larger than the grey tree die area. I prefer to use Marcus Brothers wool felt whenever possible. Hand-dyed wool is also lovely, giving the tree a more realistic color palette. With the die, right side up, layer both pieces of wool felt on top (Yes, they cut perfectly at the same time! 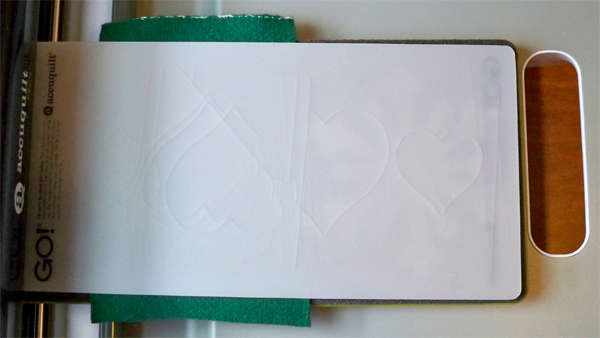 ), followed by the cutting pad. Roll it through the AccuQuilt GO! 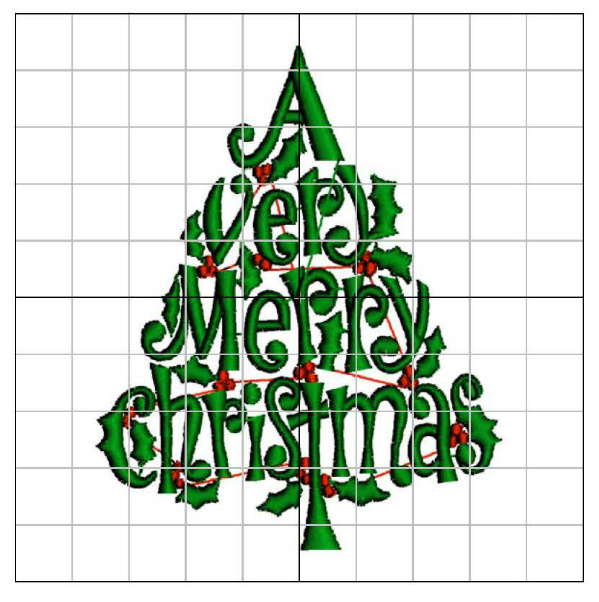 and you get two perfect Christmas trees, one for the front and blank one for the back. 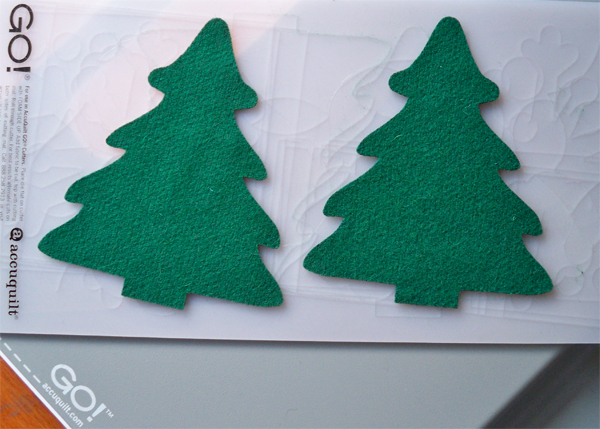 Hoop a piece of adhesive tear-away stabilizer or medium-weight tear-away with spray adhesive to hold your tree in place (for the back of the tree, not the stabilizer). Mark the hoop's vertical and horizontal centering lines. Center the tree in the hoop, using marked lines as guides, and finger-press it in place. The berries stitch first, followed by the text. Be sure to clip berry jump stitches before stitching the text. When stitching is done, remove it from the hoop and carefully separate the adhesive tear-away stabilizer from the back. 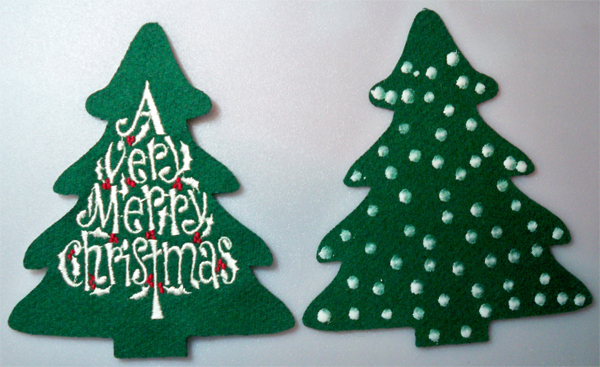 Dot glue on the blank back piece, leaving about three-quarters of an inch unglued at the top of the tree. Line up the embroidered front with the back, place under a flat object, and let it dry. Create an ornament hanger by cutting a piece of 20-gauge wire 2" in length. 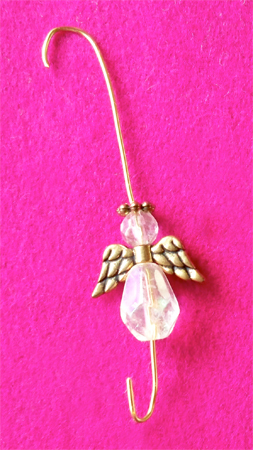 Slide on an angel body, wings, head, and halo from a string of Darice Enchanted Angels. Bend a hanging hook for the top end and a smaller hook at the bottom end. Sandwich a hanger in between the tree layers at the top. Add glue, place a lightweight, flat object on top. Let it dry overnight and it's ready to hang! It is quick, unique, easy, and nobody will have one like it! I love this too... very unique! !